Outdoor home security cameras are one of the surefire ways for any property owner to safeguard his or her residence. Although strong doors, as well as locks, are still used, motion sensors along with real-time monitored security cameras have also been introduced on the market. Apart from protecting the property, these cameras also help to make our lives much more convenient. 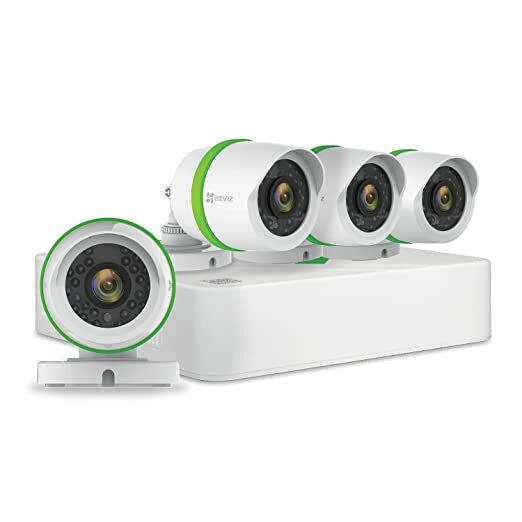 When connected to smart controls, these cameras can be used in multiple ways for safeguarding our house from intrusion. How Outdoor Home Security Cameras Work? In the past, long and obtrusive cables running across walls or floors were used for the home security cameras. However, things have changed at present and most of the security cameras are wireless which use short-range or broadband technologies for communicating with a connected smart device or a control panel. It is now easier to install these outdoor home security cameras which also allow you more freedom for placement. These cameras actually make use of wireless technology around your property for monitoring and recording activities in the surroundings. You are able to observe everything seen by the cameras, and you can also record anything according to your preference any area you don`t want to cover? no need to install a camera there. The analog surveillance cameras depend on CCTV surveillance application. These cameras, which are connected to a DVR, come with a lens, a DSP chip as well as protective housing to endure inclement weather conditions. The camera is connected to the DVR using transmission cables, and the video is received from the camera’s “eye”. Following this, the video is compressed by the DVR and is stored on a hard drive so that they can be accessed afterward. The network surveillance cameras are more expensive as compared to the analog cameras since the technology is more advanced. No separate DVR will be required when using these types of cameras given that this feature is already built into it. Apart from capturing videos and images, this camera is also able to compress and convert them to a digital format which can be streamed over the Internet. Who Needs Outdoor Home Security Cameras? As mentioned earlier, outdoor home security cameras are used at present mainly for security purposes. These are used to observe individuals approaching the front door, and will also help to catch any intruders or burglars who might try to break into your residence. Numerous homeowners are making use of these types of surveillance cameras at present. They will allow you to know the location where any strange noise is emitting outside your home or who is ringing your doorbell prior to opening the door. In fact, they can likewise provide you with valuable extra time to alert the cops when you see any indication of threat in front of your house. In a nutshell, it can be rightly asserted that outdoor home security cameras happen to be the first line of defense for protecting your property as well as your family. As compared to the indoor cameras, which we mentioned here these are endowed with a wider viewing angle which will help you to monitor vast outdoor areas. Some of them likewise include night vision so that you can capture videos or images in the dark as well. Moreover, almost every model on the market is weather resistant and waterproof with a resilient protective housing. 1. Outdoor home security cameras are going to protect you in case anything unexpected happens outside your residence. 2. Wireless home security cameras are also quite affordable to buy and easy to set up. 3. These cameras can help to minimize your home insurance policy. In case you are selling your house, they can prove to be a selling point for the house. 1. It is required to take the help of any professional for installing these cameras which can prove to be costly. 2. They are often visible to the eye which can spoil the attraction of the house. 3. These cameras are subject to interference as well as loss of signal and it is possible to hack them. 4. If you are planning to sell your house, an outdoor home security camera might repel any prospective buyer since he might think that your house is situated in a high crime area. Purchasing online is probably the most sensible option in case you are looking for affordability.Online retailers are going to provide you with a better rate as compared to the physical outlets. I found a post explaining why it makes sense to purchase from Amazon here online stores like Amazon offer you aa chance to select from the comfort of your home without any pressure to purchase. Want to check more from Amazon? or to check other buyers reviews or to have your questions answered as you will get to ask about a particular product from people who`ve purchased that product. You will be able to see the cameras in person along with their quality and size. there is a chance to compare different types of cameras on the spot. It will be possible to see in person the different features provided by the camera. Lastly, another option would be to purchase a security camera from a reliable home security company. In fact, many home security monitoring firms provide these cameras along with the equipment which you purchase for your home. Do not give any second thoughts while buying outdoor home security cameras to keep your family and home safe. As mentioned earlier, these cameras happen to be the first line of defense against burglars, thieves, and intruders. Perform adequate research beforehand, and go through online reviews before deciding which camera is going to be appropriate for you. And with all the security cameras available starting from less than $100, you have no excuse not to keep your home, possessions, and family safe. If you have any questions, please leave me a message below, will get back to you as soon as possible. If you`re looking for the right place to buy security cameras, Amazon is the best place to start if you`re buying online. I agree that security cameras are for more than just businesses these days. We have 8 outdoor cameras that we initially got so that we could see the kids playing anywhere outside. Of course I still like that I have that ability, but we have even caught an actual burglary taking place. But my cameras are cheaper quality and my video wasn’t the clearest, so law enforcement couldn’t get an arrest. You mentioned these wireless ones can be hacked. Can basic cameras be hacked as well? That’s a little scary to me. We have Zosi View, and I can’t even watch them if I am away from home. I think anyone trying to mess with your security camera is upto no good, they only do not have to worry of you catching them on the act but of someone seeing them on the act. So although it`s possible, I will not worry of it.there are good quality cheap security cameras, you do not have to pay the highest dollar to get quality.Example iegeek wireless security camera cost less than $35,EasyN plug and play security camera cost less than $90.so shop around if you feel your present camera is not the best. We have security cameras to be able to watch our children when they play outside. But we have actually caught a burglary on camera once. By video quality is poor so they couldn’t get the guy. We have Zosi View. You mentioned wireless cameras can be hacked. Is the same true for non-wireless cameras as well? 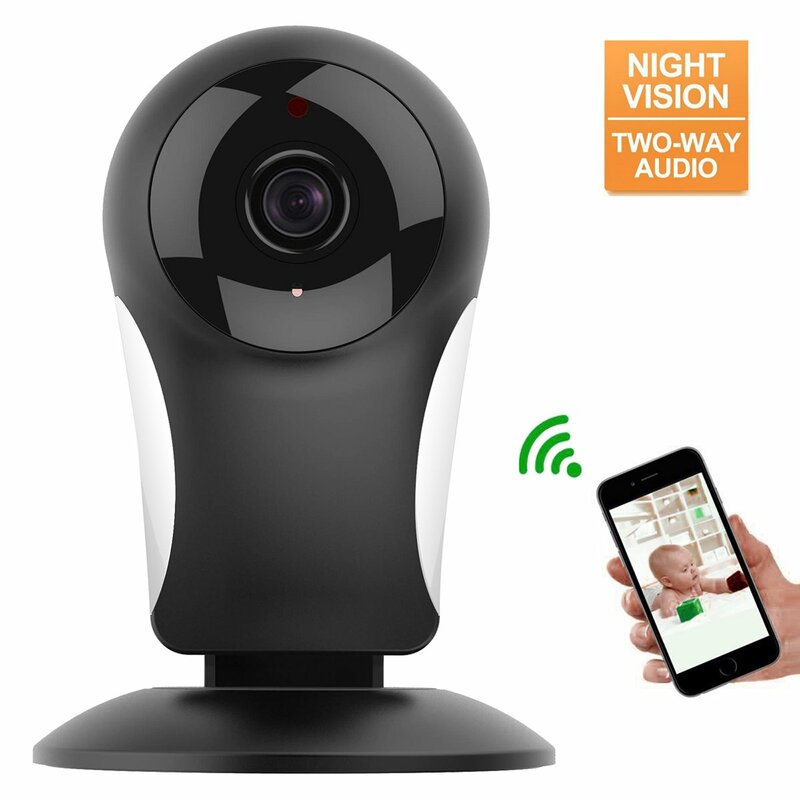 Thanks for stopping by, I think any parents with small children need security cameras to keep them safe.Zosi is supposed to have good video quality, how old is your video camera? yiu should check into getting a new camera, your family security is always very important. Very interesting post on outdoor security cameras. Although I live in a relatively low crime area in a suburban neighborhood, there are car break ins, and vandalism that occur from time to time. We had security cameras installed after someone broke into out truck one night in our driveway and stole the GPS. We were able to help the police later by providing video of another instance where kids were breaking into cars.I think outdoor security cameras are a valuable asset and highly recommend! Vandalism in neighbour hoods (even safe neighbour hoods) are very common especially from bored teens looking for trouble. I think security cameras will deter them as they are cowards who do not want to be known.I think investing in a good security camera is really worth it, not only against vandals but against break-ins.Thanks for stopping by. This is great information. We currently have a ring doorbell, but we’ve been considering buying more cameras. I knew the pros of security cameras, but you make some great points about the cons of cameras that I never thought of. I still think the pros outweigh the cons, but definitely some new food for thought. Ring door bells are great but I do feel security cameras will give you more should there be a breakin or vandalism. Yes some security cameras do have high subscription fees,but anyone serious about home security, there is really no price tag to your security.